Take a fresh look at Van Gogh through the legacy of the greatest private collector of the Dutch artist's work: Helene Kröller-Müller (1869-1939), one of the first to recognize the genius of Van Gogh. In the early 20th century, Kröller-Müller amassed nearly 300 of Van Gogh’s paintings and drawings now housed at her namesake museum in Holland. 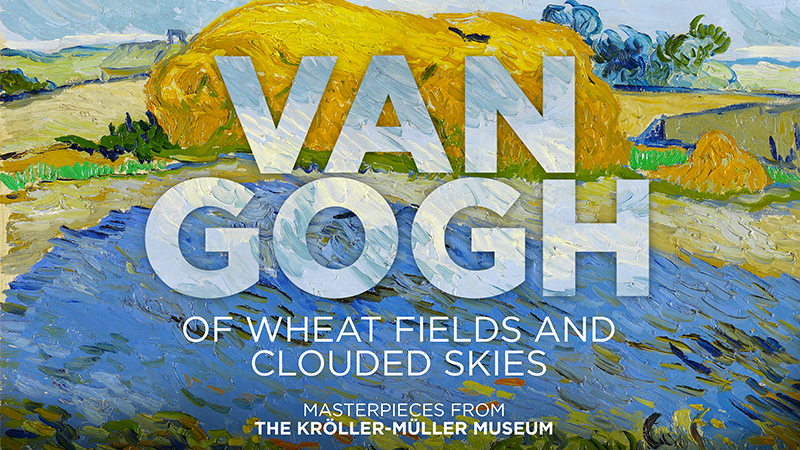 The Basilica Palladina exhibition in Vicenza, "Amid Wheat Fields and Clouded Skies," with 40 paintings and 85 drawings on loan from the Kröller-Müller Museum, lends the basis of this program, revealing Van Gogh's art and his genius, while allowing audiences to understand the importance of drawing as part of his craft. Van Gogh's seemingly instinctive canvases were the result of long, preparatory studies very rarely exhibited - not just sketches but stunning works of art in and of themselves, where the broken flow of lines that characterize the style and strokes in Van Gogh's paintings can already be seen.